First, cats took over the Internet. Now they've taken over our stamp designs! The Kitty Round Address Stamp is perfect for cat lovers everywhere. This cute cat is circled by your name and address. Available in several colors, this rubber return address is the "cat's meow." Standard size is 1.625" but larger sizes are now available! To order this purr-fect stamp for yourself, simply fill in the fields shown with your name and address information. For the top, you can either display your family last name, the name of a couple, or something like the sample with "The Goeller Family." Whatever you enter for "Name Top" will appear at the top of the stamp. Kitty Round Address Stamp Details There are many different people who have furry family members that walk on four legs. This adorable round kitty stamp features a cute striped feline that is perfectly perched, waiting to get into mischief. The cat is kept safe and sound by the two borders of this stamp. The first border is a bold, dotted-line, and the other border is your name and mailing address. You can't go wrong with cats. 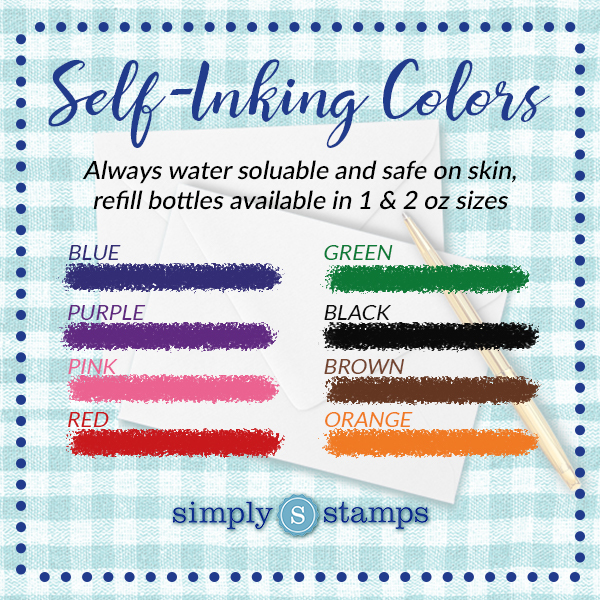 Select your ink color and size, and make this custom round self inking kitty stamp your own. Include your kitty on your mailing items as quick as possible. Don't miss out on an occasion to make someone smile.